WASHINGTON -- Britax is recalling 676,000 of their strollers after 26 injuries were reported, according to the U.S. Consumer Product Safety Commission. 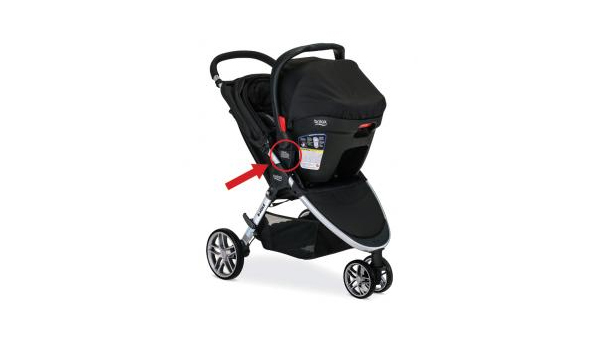 The car seat on the Britax B-Agile and BOB Motion Strollers with Click & Go receivers can disengage and fall, causing an infant in the seat to fall. The strollers were sold at Babies R Us, buy buy Baby, Target and other stores nationwide, and online at Amazon.com, albeebaby.com, buybuybaby.com, diapers.com, ToysRUs.com and other websites from May 2011 through February 2017 for between $250 and $470 for the strollers and travel systems. Anyone with the strollers can contact Britax online and click on the Safety Notice on the homepage or call toll-free at 844-227-0300 from 8:30 a.m.to 7 p.m. ET Monday through Friday and from 9 a.m. to 3 p.m. ET Saturday.